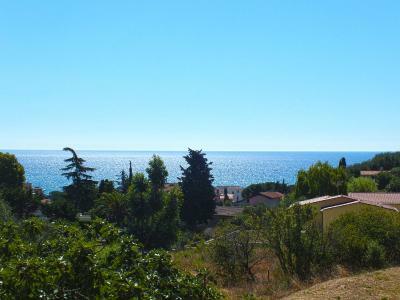 Centrally located in a small and very quiet alley of Bordighera, 2 bedrooms Apartment for Sale, convenient to the sea front and shops, completely and tastefully restored, on the second (top) floor of a small Apartment building. Access to a large rooftop terrace. 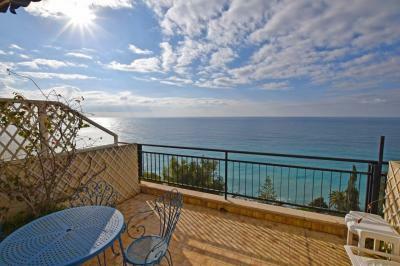 The 2 bedroom Apartment for Sale in Bordighera consists of: entrance hall with speakerphone, corner living room with fully equipped kitchenette, balcony and window, two sizeable double bedrooms, one with balcony. All with wooden parquet floors. Modern windowed bathroom with double basin and extra large shower. 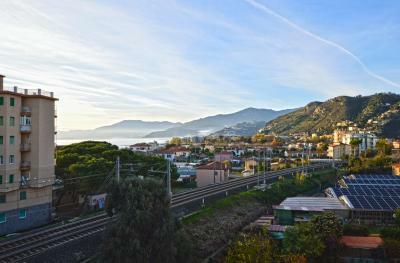 The 2 bedroom Apartment for Sale in Bordighera has triple views: south/west/north. Cellar in the basement. Independent gas heating. Annual charges  600,00. Very convenient as a second house near the sea or an investment.